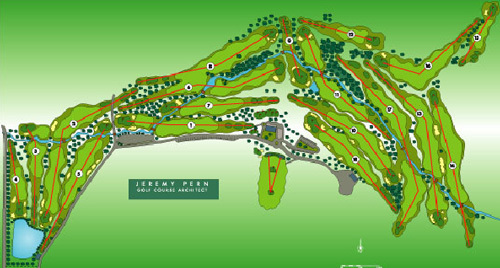 Originally called the Golf de Planchtorte this simple and tragically underfunded course was designed by Jeremy Pern, but built somewhat amateurishly by the owners themselves, whose scant respect for the designers wishes led to interesting discussions. Subsequent financial difficulties precluded any form of "state of the art" management or green keeping.. The course has since been renamed and has been taken over by Brive town hall. Lets us hope that the renovations underway will prove beneficial.